West Coast Inflatable RIBS are the exclusive importer distributor in Western Australia for AB inflatable boats. 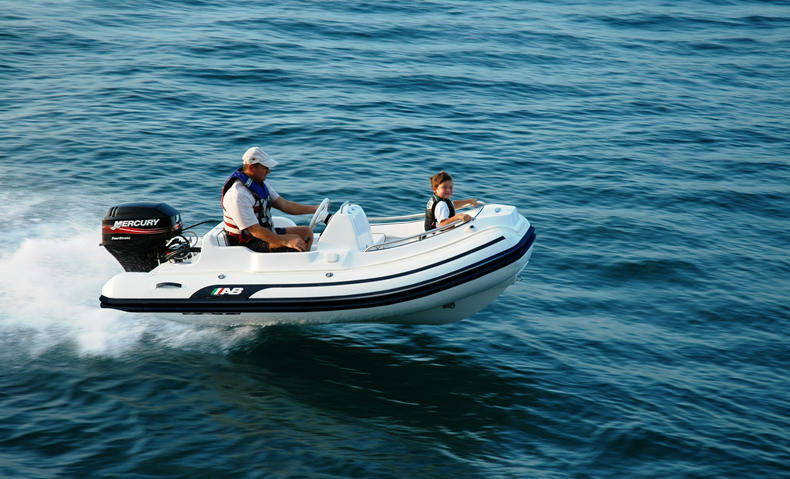 We offer rigid hull inflatable boats for the leisure, commercial and professional markets. With over 40 years experience in manufacturing inflatable boats, we have earned the reputation as the world's premier designer and manufacturer. We currently offer CE as well as NMMA certifications. AB Inflatables recently earned ISO 9000 Certification. ISO-9000, developed by the International Organisation for Standardisation, is a tool designed to improve quality of products, services and operations. Our boats are made of the finest Hypalon fabric each one hand crafted to the highest standards with strict attention to detail. Our tubes are constructed of 5-ply hypalon that is so superior we offer a 10 year limited warranty. Our seams are overlapped 1 full inch and reinforced by taping on the inside allowing us to offer a 5 year seam waranty. The tubes are a larger diameter that improves safety and seaworthiness, helping to insure a dry, comfortable ride. Each tube has a minimum of 3 air chambers divided by a special baffle system. Our hulls are either double molded hand laid fiberglass or high quality marine aluminum. Our unique forward hull design extends the hull further and increases the length of the keel and interior space. The forward hull design creates a raised bow and deep V hull which enhances performance allowing the boat to plane more easily w less horsepower and keeps you drier than any other brand on the market . All this is designed for the maximum comfort for you and your passengers. Experience the outstanding performance and comfort of an AB inflatable today!